Amar Santana, chef-owner of Broadway by Amar Santana in Laguna Beach, is expected to open his second restaurant, Vaca, in December. The restaurant, a Spanish steakhouse with tapas, will open in the theater district across from South Coast Plaza. Santana is anxious to get the restaurant open ahead of the national buzz he’s sure to get when he debuts as a “chef-testant” on Bravo’s “Top Chef” program. The two-night premiere airs Wednesday, Dec. 2 and Thursday, Dec. 3 at 10 p.m. Mum’s the word on how Santana fared. But show teases give us hope as Santana is prominently seen in many clips. 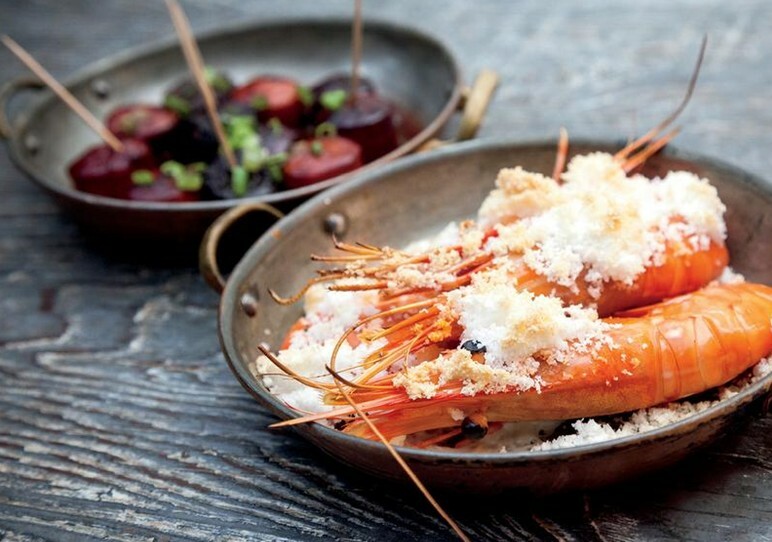 Shown: Salt roasted Spanish Carabineros prawns, wine-braised Spanish chorizo and blood sausage.